In case you didn’t know, retirement is dead—it’s been confirmed. How is that so? We often think of retirement as following this standard script: You work and work, save and save, and then sometime in your 60s (or a little later or a little earlier), you leave the workforce for good. But while that is the classic retirement chapter of the American Dream, it is not what most people do anymore. There’s a new script for the majority of people. Researchers at the Rand Corporation, a nonprofit public policy research organization, analyzed work and retirement data from the National Institute on Aging’s Health and Retirement study, which follows 20,000 men and women. From that database, the researchers extracted a statistically representative sample of 2,920 men and women to evaluate personality traits and cognitive abilities. The participants were followed for 14 years. They were 55 to 58 years old, working full-time at the start of the study and were followed until they were 69 to 72. Key finding: Only 37% went straight from full-time work to full-time retirement. 14% transitioned to part-time work—reducing their hours on the job, consulting or taking new jobs part time. 17% left the workforce and then “unretired,” returning to work, sometimes years later. 26% remained in full-time or part-time jobs past age 70. Not surprisingly, finances played a crucial role in the timing of retirement. People who had pensions were more likely to retire from full-time work to full-time retirement—perhaps in part because these plans often incentivize workers to retire at predetermined ages. Also, as you might expect, those who had more private savings tended to retire earlier, as did those in poor health. But personality and mental abilities mattered, too. A specific kind of mental flexibility. People who were better at recalling things, learning quickly, problem solving and thinking on their feet—a cognitive trait known as fluid cognitive ability—were much more likely to have jobs after age 65…and to still be employed, whether part-time or full-time, beyond age 70. It makes sense, after all, that in a competitive work force, having these cognitive skills would help someone keep a job (or find a new one) more easily. An outgoing personality. Extroverts, who are naturally drawn to other people, tended to remain employed after age 65 and were the most likely to still be working in part-time jobs at age 70. People who were unusually conscientious—a personality trait associated with being careful, vigilant and committed to completing tasks—tended to have full-time jobs after age 62, but that personality trait wielded less influence on employment status after age 65. (A different study has found that people who are conscientious tend to be financially in better shape to retire than people with other traits, which may help explain why many stopped working after 65.) Other findings: People who were more agreeable were somewhat likelier to leave the work force earlier, though the link was not as strong as for other personality traits. Two other traits were unlikely to influence retirement decisions: being neurotic or being open to new experiences. These factors didn’t influence what people in their 50s thought would be their retirement plans. 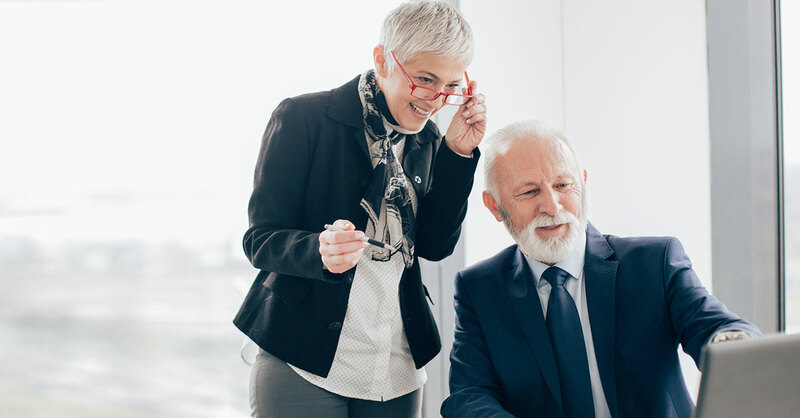 Example: When asked if they planned to work longer than 65, those with higher “fluid cognitive ability” said they expected to remain working after age 62—but not after 65. (It turns out they were more likely to work after 65.) And extroverts didn’t expect to keep working longer than other people, though they ended up doing so. This research underscores what good financial advisers encourage their clients to do. In addition to focusing on financial preparedness, imagine (and plan for) your retirement in terms of what you’d really like to do, not what you think society or any other individual expects you to do. Base your plans on your personality, desires and dreams. As this study makes abundantly clear, there are many paths to “retirement”—including many that keep some people happily working.